Piccadilly’s Chief One Feather puppet introduces students to the history, life style, and religious practices of Georgia’s earliest inhabitants – the Cherokee. With the help of puppets and audience volunteers, the puppeteer storyteller then recounts Cherokee creation myths about how the earth was formed, how animals came to live on the earth, and how fire was discovered. Students learn about the achievements of this noble tribe and the journey remembered today as the Trail of Tears. They also see the puppeteer in action, as this show takes place in the open rather than behind a curtain. Ron Anglin wants to entertain, educate, and positively impact as many children as possible with comic juggling and clowning. He does an amazing job mixing key science concepts, incredible demonstrations, and a great sense of humor. Kids love every minute of his performance and learn more than you could teach them in a whole day! Laughing Matters’ improvisation masters use age-appropriate games, skits and songs to tickle the funny bone, sharpen the mind and stimulate the imaginations. Students will love to share their ideas and take part in the unscripted, unexpected and hilarious results. For creative thinking skills, one of the company’s quick-witted actors leads students in devising tricky, hilarious, and improbable scenarios to challenge their classmates’ imagination and ingenuity. There are no right or wrong answers – just exercises in teamwork and creative problem solving that are fun and stimulating for everyone. Some of the programs presented for area schools are interactive improvisational shows that are structured around the theme of conflict resolution. Based on grade level, recent events, and/or ideas given by students and sometimes teachers, scenes are improvised and a myriad of conflicts arise. Students learn ideas of avoiding conflict, cooperation, how to be aware of different emotions, the importance of making positive choices, and who to come to when they have questions. Although the topic is serious and treated as such, the group always remembers their roots in comedy. Moscow Nights is an exciting, versatile trio of world recognized, prize-winning musicians from Russia. These classically trained artists first took Western Europe by storm and now have brought their dazzling, toe-tapping music to North America. The repertoire is centered on masterpieces of Russian folklore and represents the diversity of the culture, ranging from gently humorous songs to high-energy, elaborate melodies. Moscow Night’s lively program presents an authentic picture of Russian fold traditions and culture. Lilting balalaikas, dynamic bayan accordian, unique Treshotky and Loshky, humorous dances, and superb vocals combine for an exhilarating and educational performance for audiences of all ages! Readers to Leaders helps create and facilitate literacy programs. Savannah Thomas graduated from Savannah College of Art and Design in 2013 with a Bachelors of Fine Art in Photography. During her time at SCAD, she often became the friend others turned to when others were creatively stuck or left uninspired. These conversations not only left her with a deep appreciation for a wide range of mediums, but it also started her on her mission towards impassioning others with a love for the arts. After leaving SCAD, she worked for a year as a studio assistant for a Fine Art, Experimental Photographer, Pete Christman, before being offered her first Gallery job. 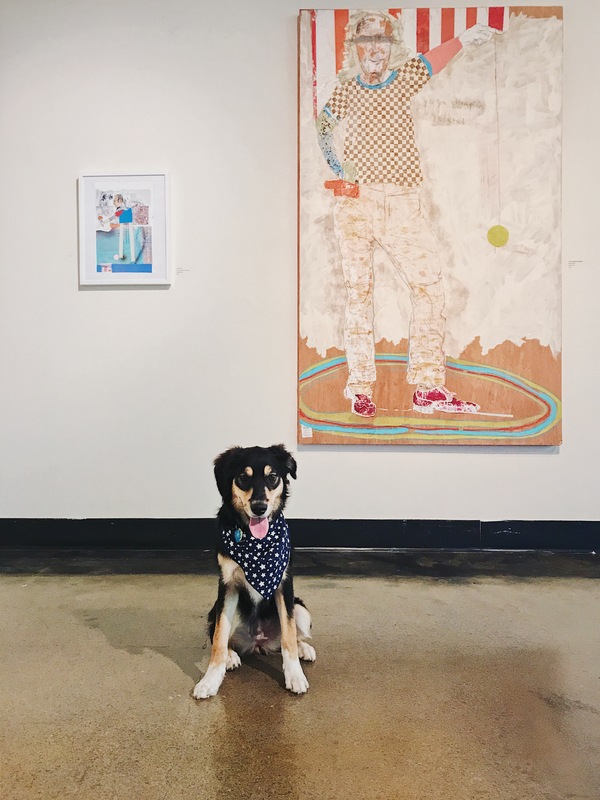 Currently, she can be found as the Gallery Director (or Gallery Goddess, as she prefers) at the Creative Arts Guild in Dalton, Georgia, but it’s conversations that leave others – both other artists and lay people – excited about the possibility of art that keep her invigorated. Carmen Deedy is a noted bilingual storyteller and children’s author. Born in Havana, Cuba, Deedy came to the U. S. As a refugee in 1964. She grew up in Decatur, Georgia where she lives today. Deedy began writing as a young mother and storyteller whose NPR commentaries on All Things Considered were collected and released under the title, Growing Up Cuban in Decatur, Georgia. Many of her stories are true experiences that occurred to her as a result of her immigration to the United States. In addition to being a wonderful storyteller, Deedy is also well know for her beloved children’s books. Each of her books is beautifully illustrated and exhibits wonderful morals and values. Many of her books are written for elementary students, but have an important lesson for all ages. Deedy is also an accomplished lecturer, having been a guest speaker for the TED Conference, the Library of Congress, Refugees International, the Kennedy Center, and Columbia University. She has also been the host of the Emmy-winning children’s program Love That Book! Although she has shared her stories with a wide variety of people, school children are still her favorite audiences. To celebrate 50 years of the Jonas Foundation, Alexander Mizell, a gifted artist will be a guest art teacher in several area schools. Alexander is excited to honor the memory of his mother, Atlanta artist, Dorothy Mizell, a family friend to the Jonas family as well as the Noel Wadsworth family. Scott’s program includes music from around the world. His performance demonstrates percussion instruments from the Caribbean, Mexico, Europe, Asia, Australia, South America, and Africa as well as wood and clay flutes from North and South America, Scandinavia, and Africa. Students will see and hear what its like to make music in villages around the world on instruments that each culture created. Dalton native Charlsey Etheridge has been performing in one capacity or another since the age of 6. Coming from a musical family, Etheridge stated by singing in church and playing piano under her grandmother’s instruction. From a very young age, she knew music would be her path. After obtaining a Bachelor’s in Music from Lee University, in 2003 Etheridge moved to music city, Nashville, TN, where she would spend the next 13 years honing her craft, writing, signing, and working alongside industry professionals such as Steve Wariner, Grammy-award winners Harley Allen and Randy Kohrs, and Jack Pearson of the Allman Brothers Band. She has opened for acts like Little Big Town and had the opportunities to perform at the world-famous Bluebird Cafe as well as Bluegrass mecca The Station Inn. In 2013 her debut album, Memories of Mine, obtained recognition in music industry publication Bluegrass Today & Prescription Bluegrass. Currently, she serves as Concert Director at the Creative Arts Guild while still sharing her passion for music and performance. Tahino was founded in 1992 to teach children in Atlanta about the wonderful music and culture of Latin America. Members Otto Rondon, Mario Luque, and Gustavo Arenas were born in Merida, Venezuela, Mexico City, Mexico, and Girardot, Columbia respectively. They offer a taste of Latin America as they take spectators on a musical journey featuring contemporary Latin music. Tahino has been honored for its amazing performances with awards such as the Certificate of Appreciation from Georgia State University, the Cousins Middle School Certificate of Appreciation, and a Salute of Tahino from Georgia Governor Harris and Senate Committee Chair Greene.